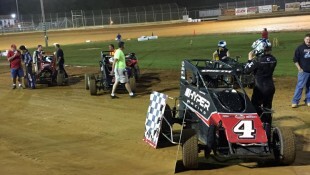 Herrera Hustles to Lucas Oil ASCS Score at BMP Speedway :Racers Guide – The Web's #1 Racers' Online Directory! BILLINGS, Mont. 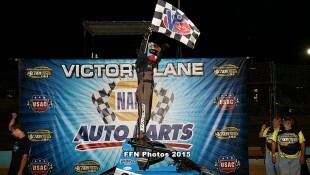 (July 18, 2015) Wild might be the proper description of the A-Feature at the Billings Motorsports Park with the Lucas Oil American Sprint Car Series presented by the MAVTV Motorsports Network as Johnny Herrera held off Aaron Reutzel in the closing laps for his second National Tour score of the 2015 season. Three, and at times four wide in slower traffic to keep the B.C. Funds No. 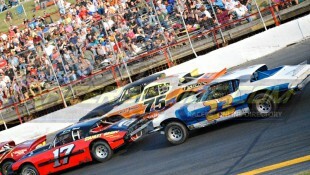 87 at bay, a late race caution cooled the action for the final two laps. 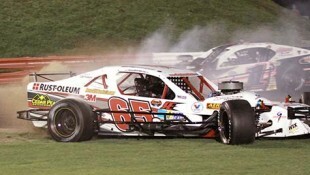 After two caution brought back the start, Herrera chased Jordan Weaver into the first two turns. Taking over the lead in turns three and four of the opening lap, the MVT No. 45x set a torrid pace into slower traffic; finding the back of the field by the eighth lap. Picking his way through the back markers, a bobble inside the final 10 laps on a lapped car set up a run for Reutzel, who had his hands full with Wayne Johnson. Pulling to the back bumper of the No 45x, Reutzel dove, slid, and used every inch of the BMP Speedway, pulling even several times with Johnny only to be picked by a slower car. The final three laps, the pair was three wide and finally four wide with Herrera barely clearing the top side to hold off Aaron just as the caution waved for a car stopped in turn four. Back to green, Aaron was there but would not be able to get the lead, as the No. 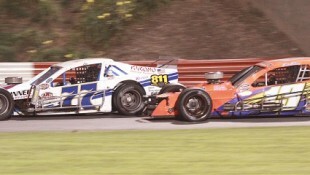 87 worked to keep Wayne Johnson in third. Wayne Johnson settled for the final podium step on the Oil Medics No. 77x. After having to visit the work area on the start of the night’s A-Feature, Seth Bergman tore from 22nd to fourth in the Corridor Electric No. 23. Joe Ramaker crossed fifth, but was disqualified for missing the scales, giving fifth to Matt Covington who came from 16th. 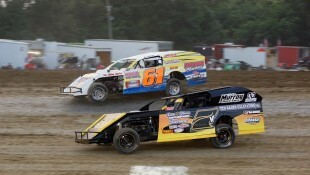 Phil Dietz crossed sixth with Kyle Bellm seventh. D.J. Brink from 14th was eighth with J.J. Hickle and Jordan Weaver completing the top-ten. With 37 drivers checking in, five Heat Races went to Aaron Reutzel, J.J. Hickle, Jordan Weaver, Kyle Bellm, and Wayne Johnson. 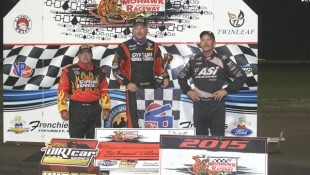 Twin B-Features went to David Hoiness and Joe Perry. No provisional starts were utilized. 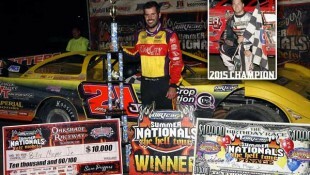 The Lucas Oil ASCS presented by the MAVTV Motorsports Network breaks new ground on Wednesday, July 22 with the series debut at the Gillette Thunder Speedway in Gillette, Wy. 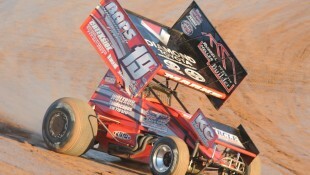 For continued updates on the American Sprint Car Series, log onto http://www.ascracing.com. 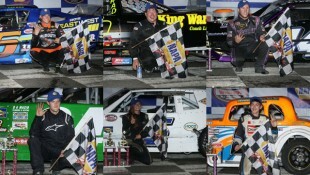 Billings Motorsports Park – Billings, Mont. 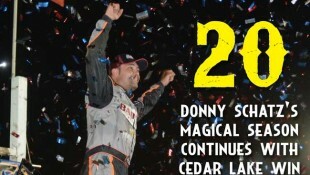 Heat Races: 8 Laps, taking the winner plus the next the next 11 highest in passing points to the A-Feature. Heat 1 (8 Laps): 1. 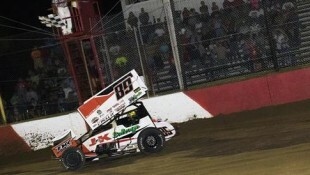 87-Aaron Reutzel; 2. 45X-Johnny Herrera; 3. 95-Matt Covington; 4. 33T-Travis Stortz; 5. 38B-Bryan Brown; 6. 0J-Jeremy McCune; 7. 6-Steve Nelson; 8. 4-Cliff Nelson Jr.
B-Feature(s): 12 laps, taking the top 3 from each to the tail of the A-Feature. 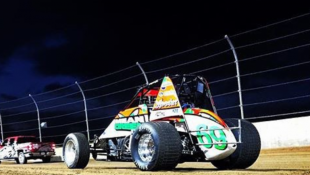 The 2015 season will mark the 24th year of sanctioning Sprint Car racing for the American Sprint Car Series, which brings the best of Sprint Car racing to dozens of different tracks throughout the nation in both National and Regional competition. 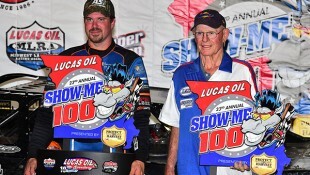 Lucas Oil Products is the title sponsor of the American Sprint Car Series. 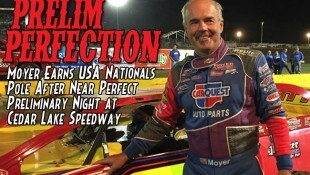 More information can be found on Lucas Oil Products at www.lucasoil.com. 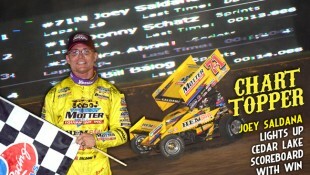 MAVTV is the presenting sponsor of the American Sprint Car Series. 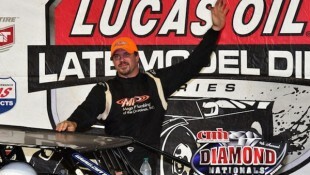 Log onto www.mavtv.com for information regarding availability and listings in your area. Associate sponsors for the Lucas Oil American Sprint Car Series presented by MAVTV include: Hoosier Racing Tire and Brodix. 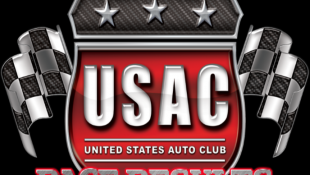 Team Lucas Sponsors for the American Sprint Car Series consist of Protect the Harvest, iON Camera, Smokey Mountain Moonshine, C&R Radiator, Hawk Performance Products, Geico, E3 Spark Plugs, and General Tire. Product and Contingency Sponsorship provided by: K&N Filters, KSE Racing Products, Fuel Safe, DMI Rear Ends, BMRS, SpeedMart, Competition Suspension, Engler Machine and Tool, FSR Radiator and Racing Products, Schoenfeld Headers, Driverwebsites.com, Weld Wheels, Maxwell Industries, Print Place, Simpson, The Joie of Seating, Wesmar Racing Engines, Hinchman Indy Racewear, Rod End Supply, Smiley’s Racing Products, Speedway Motors, and Hilborn Injection.